Solid white gold signet ring for women. Thin stackable 14k or 18k white gold pinky ring. Can be personalized to your liking! 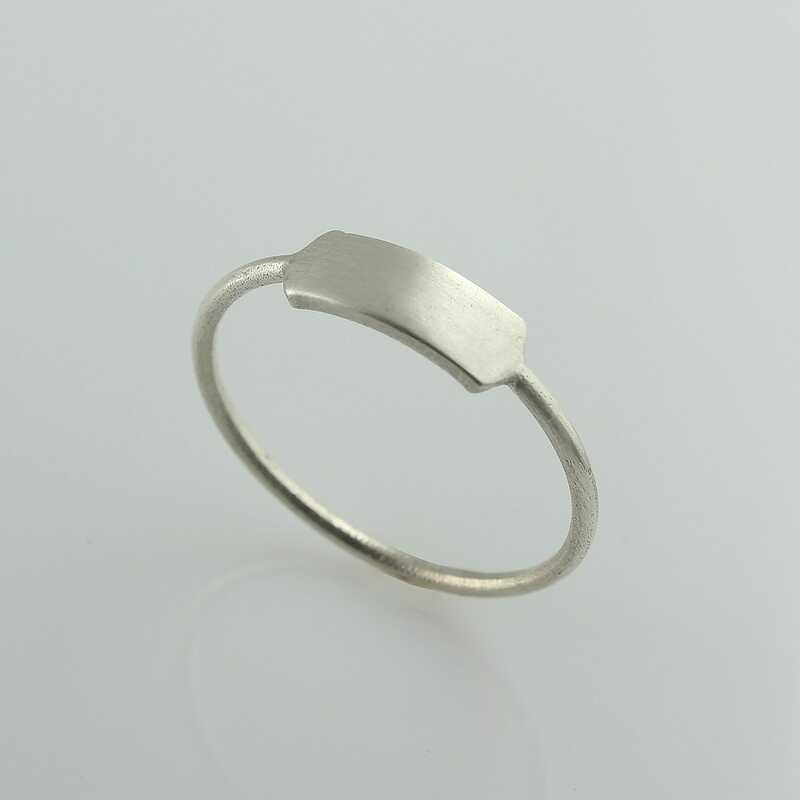 Unique minimalist thin white gold signet ring for women. The shape is a thin rectangle plate made with solid white gold. It has a gorgeous matte finish. * 14k / 18k solid recycled white gold. * Ring thickness - 1.5 mm / 0.039". * Plate size - 3.7X11 mm / 0.146"x 0.433"